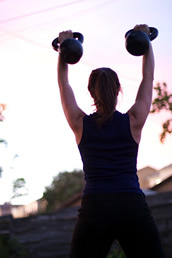 Are you ready to find your strength, get your best body and live life with vigor? I train clients who are ready to commit to change online or in person at their homes, parks, or beaches in Ventura County. Why train online? Online personal training* provides accountability, saves you time, and takes the guesswork out of training. No more wandering around the gym trying to decide what to do. I offer three levels of online training to meet your needs. Get a monthly customized workout schedule and track your progress to help you reach your fitness potential (online fitness software included). For those of you who need a little bit more motivation... online clients will receive a monthly training schedule, weekly phone coaching, and unlimited email/text support to help you reach your goals. For those of you who are ready to make significant lifestyle changes. We will work together as a team to reach your goals and to develop healthy habits you can carry with you for life. Includes initial fitness assessment, goal setting, workouts, weekly phone coaching, unlimited text and email support. *Safety always come first and depending on client's experience or background kettlebell training may or may not be used with online programming. Get a 20% discount when you pay for 10 or more sessions upfront. Group Transformation Packages available, email for details. Building a home gym does not have to break the bank. I can help you navigate the world of fitness equipment for purchase, set up, and use based on your space, resources, and goals. Rates vary by project and involvement. Email or call for information.